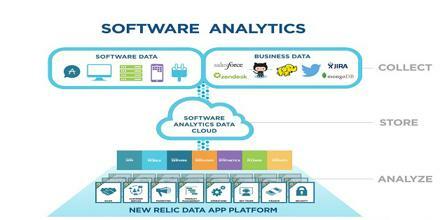 Software Analytics is an area of explosive growth, which gathering billions and billions of metrics from live production software, including user clickstreams, mobile activity, end user experiences and transactions, and then making sense of those—providing with business insights. It’s methods to examine data sources for patterns with the aim of description, prediction or prescription. It represents a base component of software diagnosis that generally aims at generating findings, conclusions, and evaluations about software systems and their implementation, composition, behavior, and evolution.